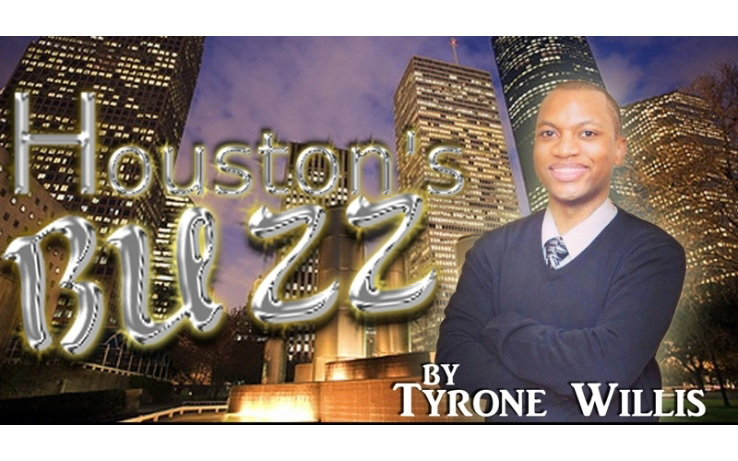 This Week in Houston’s Buzz: 2018 Legacy Gala Benefiting The Stacey and Bo Porter SELF Foundation and More! 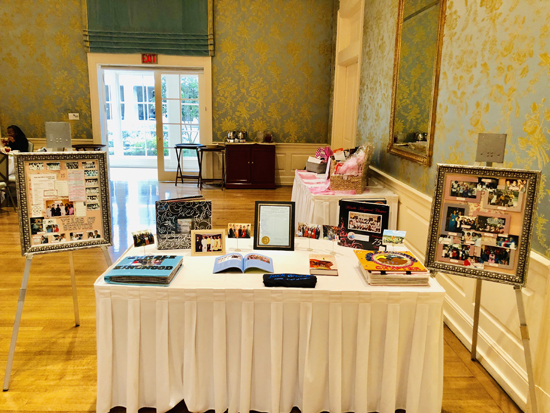 The Stacey and Bo Porter SELF Foundation held their 2018 Annual Legacy Gala at the Junior League of Houston. The 2018 Annual Legacy Gala Honoree is Letoya Luckett-Walker. 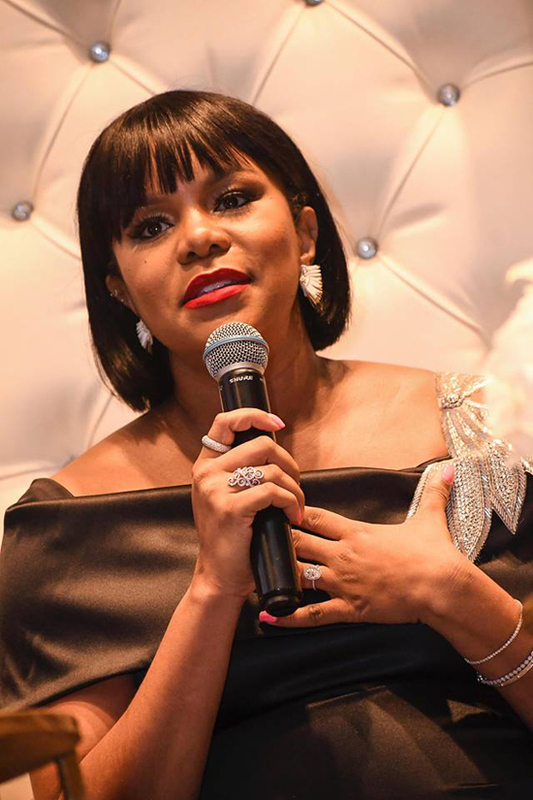 The distinguished 2018 Torch Award was given to Grammy Award-winning singer/actress LeToya Luckett-Walker whose career expands back to days of Destiny’s Child and to currently acting on the hit TV series Greenleaf on OWN. 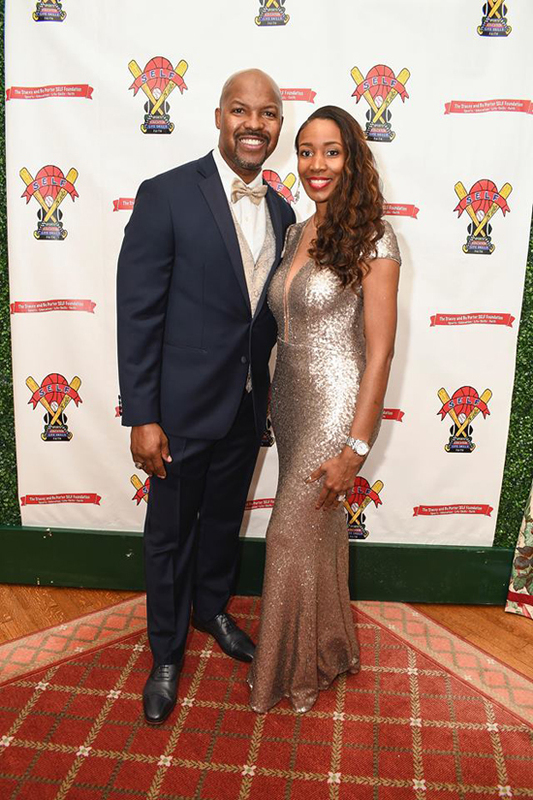 Stacey and Bo Porter have been involved in mentoring and coaching young student-athletes and they strive to be supportive and encouraging to others. 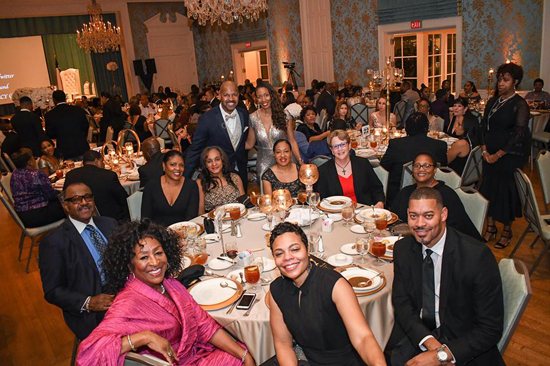 The 2018 Annual Legacy Gala showed us how together, as a community, we can make a difference in the lives of others. 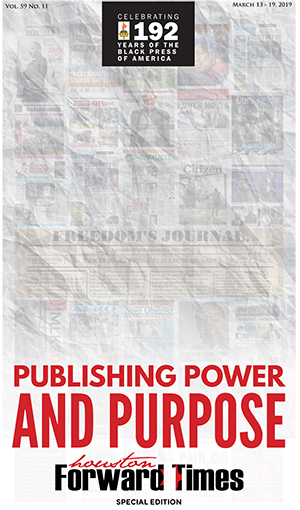 More information about this charitable organization can be found at http://sbpselffoundation.org. 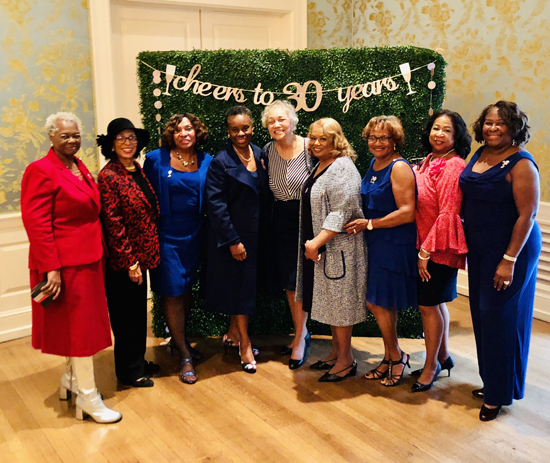 On Saturday, November 10, 2018 the Humble-Kingwood Chapter of Jack and Jill of America, Incorporated held their 30th Anniversary Celebration: A Fashion Forward at The Junior League of Houston located at 1811 Briar Oaks Lane, Houston, Texas. 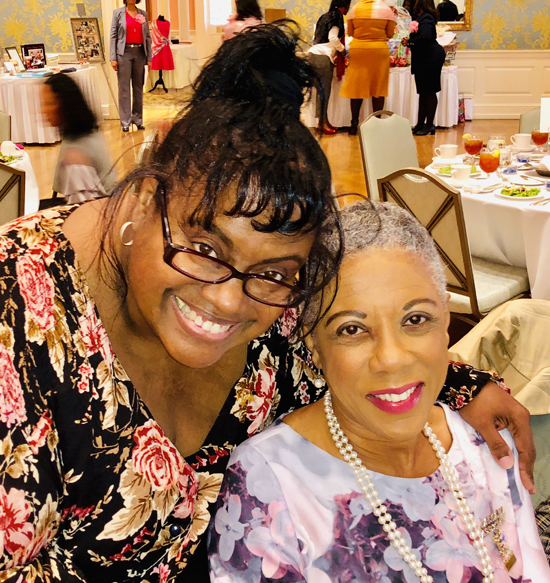 Andrea McHenry – South Central Regional Protocol Chair, Humble-Kingwood Chapter, Past President 2013-2015 was the Mistress of Ceremony; the Welcome was presented by Yoshida J. Kirkwood, President of the Humble-Kingwood Chapter 2017-2019; Greetings from L’Sheryl D. Hudson, 21st South Central Regional Director Jack and Jill of America, Inc.; Invocation given by Wanda Davis, Humble-Kingwood Chapter Chaplain; Fashion Show presented by Michelle Neely-Wilson and Denise Tanner-Brown; Acknowledgement of Special Guests presented by Najah Callander, Event Chair and Chamelia Robinson, Event Co-Chair; Silent Auction Announcements by Yolanda Carey, Foundation Chair; Official Anniversary Toast by Consuella Guillory-Adams, National Corresponding Secretary Jack and Jill of America, Inc.
Jack and Jill of America, Inc. is a national organization, founded in 1938, with over 220 chapters in 35 states and the District of Columbia representing over 30,000 family members. 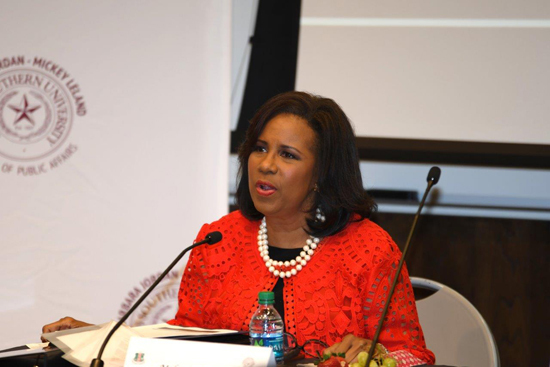 The Humble/Kingwood Chapter of Jack and Jill of America, Inc. was chartered in October of 1988. 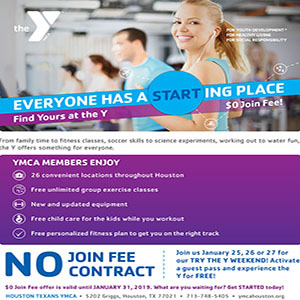 This chapter consists of several active families in the Humble, Kingwood and Summerwood areas who coordinate stimulating monthly activities for their children in the cultural, civic, health, educational, social, spiritual and service areas to continue to hold high standards and support the aims and objectives of the national organization. Members of Jack & Jill of America Inc. 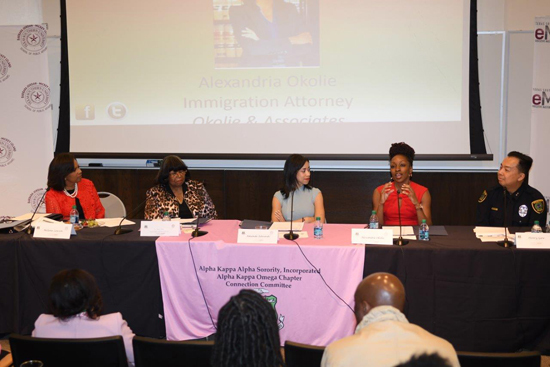 In a movement to get the public engaged in today’s political scene, Alpha Kappa Alpha Sorority, Incorporated: Alpha Kappa Omega and Epsilon Lambda chapters; the Texas Southern University School of Public Affairs; and the University of Houston Masters of Public Administration program presented an Involved Citizens of Houston Community Forum on Monday, October 29, 2018, from 7-9 p.m. at the Barbara Jordan – Mickey Leland School of Public Affairs located on the campus of Texas Southern University, 3100 Cleburne Street in Houston. 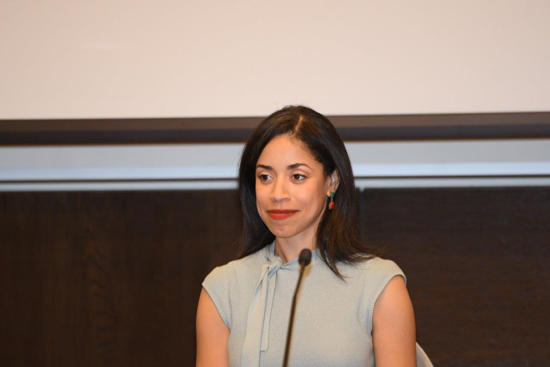 This event was free and open to the public. 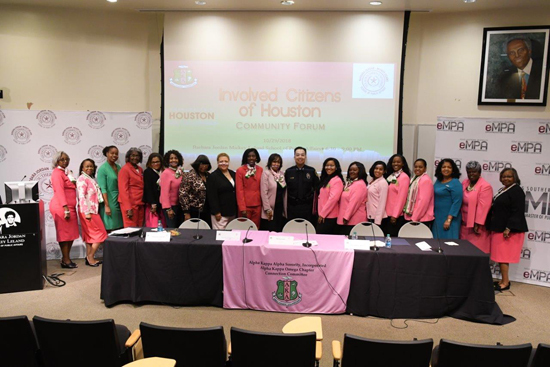 Special guests included the Honorable Amanda K. Edwards, Assistant Houston Police Chief Henry Gaw, and Melanie Lawson, of KTRK ABC-13 served as the moderator.